Over the phone, Don Bell is matter-of-fact and modest, as if just about anyone could have accomplished what he, Henry Isaak, and David Lumgair did. But others didn't - at least not initially, nor to the same degree - and you don't have to look far to find proof of their legacy. It's a floor below the indoor hockey rink in Morden, Manitoba, in a sprawling space called the Canadian Fossil Discovery Centre (CFDC). During my research for ‘Dinosaurs’ of the Deep: Discover Prehistoric Marine Life (Turnstone Press), Don Bell's name came up often. "He knows more than almost anyone," someone at CFDC told me. "You should call him." So I did. "Can you tell me how this all started?" I asked. "We were on a canoe trip," Don said. 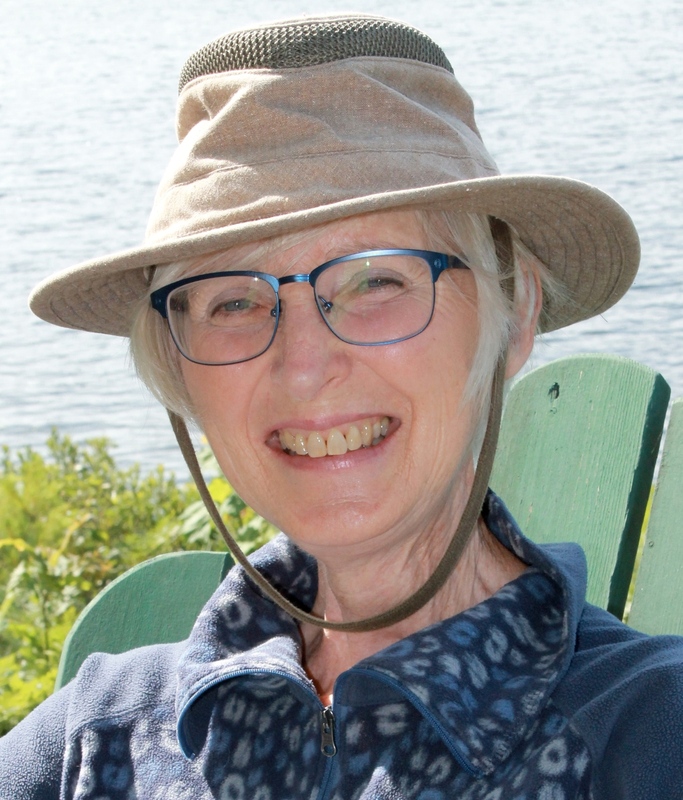 In quick steps, Don covered the story of a 1972 canoe trip involving a group of paddlers. Don, Henry and Dave were in one canoe, keeping leisurely pace with the others. At a stop for lunch, discussion ensued about a recent discovery of dinosaur bones in the Morden area. "Hank and I were interested," Don said. Bitten by curiosity, Don and Henry, both teachers, struck out at 6 a.m. on a later weekend to search for the fossil. A mile west of Morden's Stanley Park, they turned south and drove another 300 metres. Lying exposed in a field, they discovered a large fossil skull. 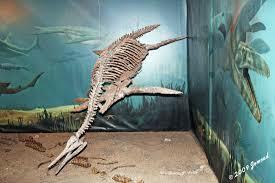 Immediately, they realized that it was not a dinosaur, but a long-extinct – and very large – marine reptile. "We knew it was important," Don added. Ill-equipped to bring the skull home, Don and Henry drove back to town to regroup. By the time they returned, two young fellows were there, hammering the fossil to pieces. 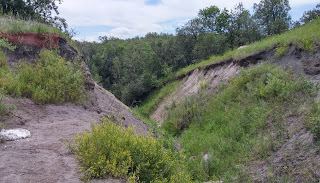 The Manitoba Escarpment near Morden, Manitoba. The Morden region lies at the edge of the Manitoba Escarpment. Eighty million years ago, at the time of the dinosaurs, the Western Interior Seaway sliced across North American dividing it in half. The escarpment is a by-product of Manitoba’s watery past and a rich source of marine fossils from that period. At the time, the Pembina Mountain Clays Company had been mining the area for bentonite, a type of volcanic clay used in detergents and other products. Fossils turned up frequently, often crunched to bits by heavy equipment. Realizing the scale of destruction, Don and Henry embarked on a mission to save as many as possible. The two got to know the miners and struck up a deal. When fossils surfaced, miners placed a call to the pair. In the evening, after the miners shut down for the day, Don and Henry salvaged what they could before operations resumed in the morning. Sometimes they worked through the night, excavating and jacketing fossils by the glow of headlights. They carted their prizes home and stored them in Henry's garage and Don's basement. Knowing the demands of teaching, I couldn't imagine a life of all-nighters. "What kept you going?" I asked Don. "To me it was exciting, discovering something that hadn't been discovered before," he said. one of many collected by Don and Henry. What started as a small-scale operation mushroomed. Interest spread. Volunteers joined the effort. Henry tapped into government grants and hired university students to help. 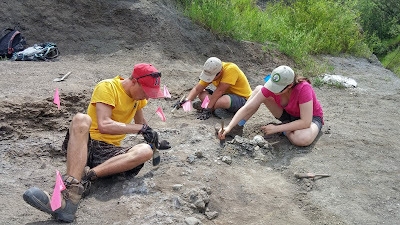 The pair consulted paleontologists and made weekend field trips to Kansas City, Drumheller, and the University of Calgary, places with Late Cretaceous fossils and people with the necessary know-how. Early on, David Lumgair – the third man in the canoe – got involved, too. He lived on a farm near Thornhill, a few kilometres from Morden. Fossils often surfaced on his land, and Dave had an open-door policy when it came to the growing brood of fossil hunters. He welcomed them and let them set up shop on his property. 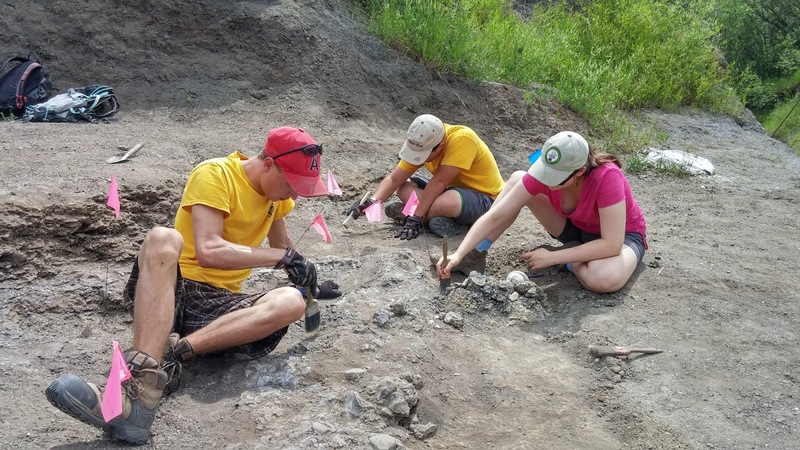 In just two years, the ambitious team unearthed 30 mosasaurs, 20 plesiosaurs, and hundreds of other fossils from the region around Morden. In 1974, David’s farm yielded a spectacular prize – an immense mosasaur. Nicknamed Bruce, it took several seasons to unearth and jacket the entire creature. 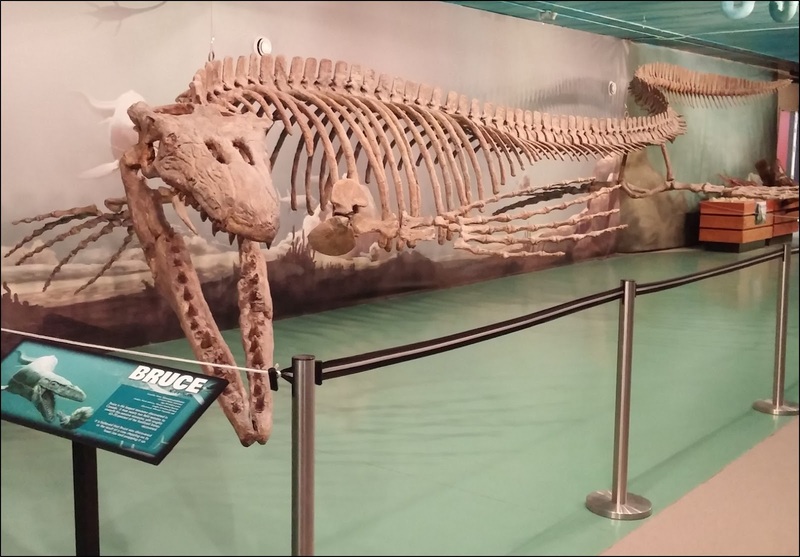 Bruce, the world's largest mosasaur, on exhibit at the Canadian Fossil Discovery Centre. Eventually, the collection of fossils outgrew Don’s basement and Henry’s garage. It was moved to the Morden and District Museum, and then in 1976 to its present quarters in the lower level of Morden's Community Centre. 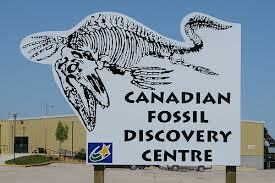 Today, the Canadian Fossil Discovery Centre is a world-class institution. It houses Canada's largest collection of Late Cretaceous marine vertebrate fossils. The undisputed star of the Centre is Bruce. The sprawling 13-metre-long mosasaur is the world’s largest exhibited mosasaur and a Guinness record-holder. for the Canadian Fossil Discovery Centre at a dig site along the escarpment. The Morden area continues to yield fossil treasures, and new finds are constantly being added to CFDC’s holdings. The place is a buzzing hive of research and educational programs, and a fitting reminder of what three people hooked by passion and persistence can achieve. Unless otherwise noted, all photos by Larry Verstraete. This year, Canadians celebrate the 150th anniversary of Canada's birth as a nation. In April, many also celebrated the 100th anniversary of the Battle of Vimy Ridge. During that battle, four Canadian fighting divisions surged up the steep slope to attack German forces at the top. Only one of those divisions failed to meet all its objectives that first day. By April 12, Canadian soldiers and their allies held the heights. Many soldiers died in that battle. One of them was my great uncle, George William Clerihew. He was originally reported as missing in action. After his body was found, it was buried in a military cemetery in France. Family members still visit his grave. All families are not as lucky. 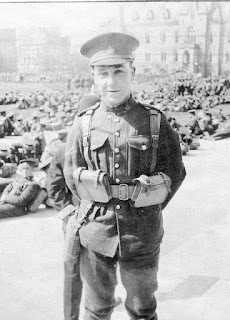 According to the Department of National Defence, 19,000 of the 62,000 Canadian fatalities in World War I remain missing. 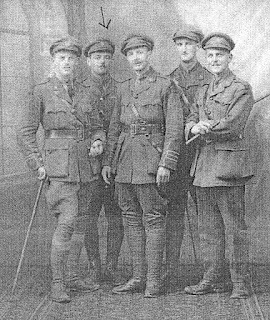 One of these is Francis (Frank) Bassell Winter, who was part of the 26th (New Brunswick) Battalion of the Canadian Expeditionary Force. Originally from British Guyana, by the start of World War I, Frank lived in St. John with his parents and two sisters: Amy and May. He was the youngest. He joined the armed forces after graduating with a degree in electrical engineering from McGill University. Like many Canadian soldiers, this New Brunswick soldier distinguished himself on the battlefield. 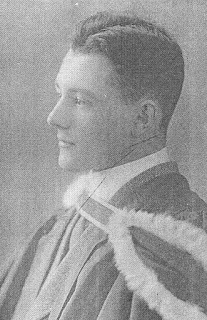 In July 1916, he was awarded a Medal of Honour for his conspicuous gallantry during a raid on the German trenches. A lieutenant at the time, he was the first person into the German trench and the last person out, even taking time to help bring back the dead and wounded. He'd been promoted to Captain by the time of the Battle of Hill 70, which was in August. Although the Battle of Hill 70 is little known, it was the beginning of an attack on the French city of Lens. This fight was meant to relieve pressure on the forces fighting near Passchendaele in Flanders. According to historians, the battle marks a turning point in Canadian military history. It was the first time that Canadian forces were led by a Canadian rather than a British general. Souvenir sent to mother from Amiens. 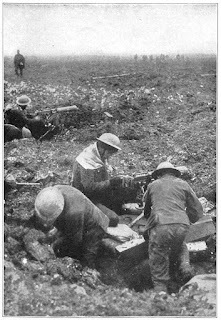 Rather than attack Lens directly, Sir Arthur Currie, the Canadian general, attacked the hill to the north of Lens, one which dominates access to the area. Canadians charged up the hill on August 15, 1917–and subsequently captured it. The Canadians lost more than 9,000 soldiers in that battle. Of these sixty-nine were never found. One of these was Frank Bassell Winter. Since he was unmarried and had no children, there were no direct descendants. His parents and sisters mourned his death. Without a body, his family had his name engraved on his mother's tombstone. The family heard nothing more about him until just before Easter of this year when my sister-in-law, Pat Mason, received a phone call from the Department of National Defence. Did she recognize the name Francis Bassell Winter? What led to this query was the recovery of three human remains near Lens in late August 2016. Such bodies turn up during building or road construction or work in a farmer's field. After almost 100 years underground, much of the identifying material has decomposed. However, certain artefacts may remain, including identifying disks that carry the soldier's name, rank, and unit, cap badges, unit uniforms, rings, and bracelets. Identifying disks can't be used as the only means of identification because a soldier may be carrying the disk of a dead comrade. Frank was known to have been in the area. In addition, he matched the age and height of the unknown soldiers. To clearly identify the remains, however, the Department of National Defence checks DNA. Much of this is unusable after a century underground. For old remains, identification experts used mitochondrial DNA. This form of DNA is passed from mother to child and from daughter to grandchild. Since Frank had no children, the Department of National Defence worked to trace the descendants of his two sisters. Tracing female descendants has its difficulties. Sisters marry, change their names, and frequently move. If they don't have female descendants, their line of mitochondrial DNA isn't passed on. In Frank's case, his younger sister had gone out West. Fortunately, she had daughters who also had a daughter. Using marriage records and obituaries of family members, research personnel finally traced Frank's great niece to a suburb outside Ottawa. My sister-in-law was asked to provide a saliva swab so that her mitochondrial DNA could be checked against that in the unknown remains. 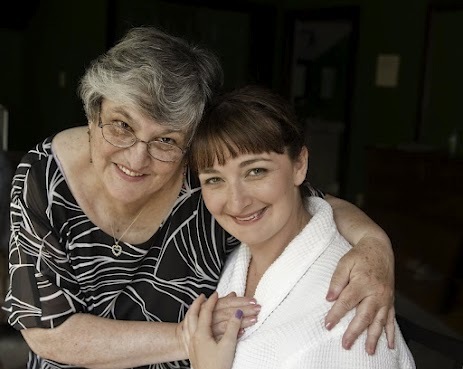 At Easter, she and her extended family celebrated this possible recovery of a long-dead relative. Unfortunately, the DNA samples did not match. Frank is not among the three bodies found near Lens. Someday, someone digging in the area may come across his remains. Meanwhile, Casualty Identification staff at the Department of National Defence work to trace the ancestors of other possible matches. Pat's DNA profile will be kept on file for checking against bodies found in the area at some time in the future. The neighbours of one of my friends had better luck. 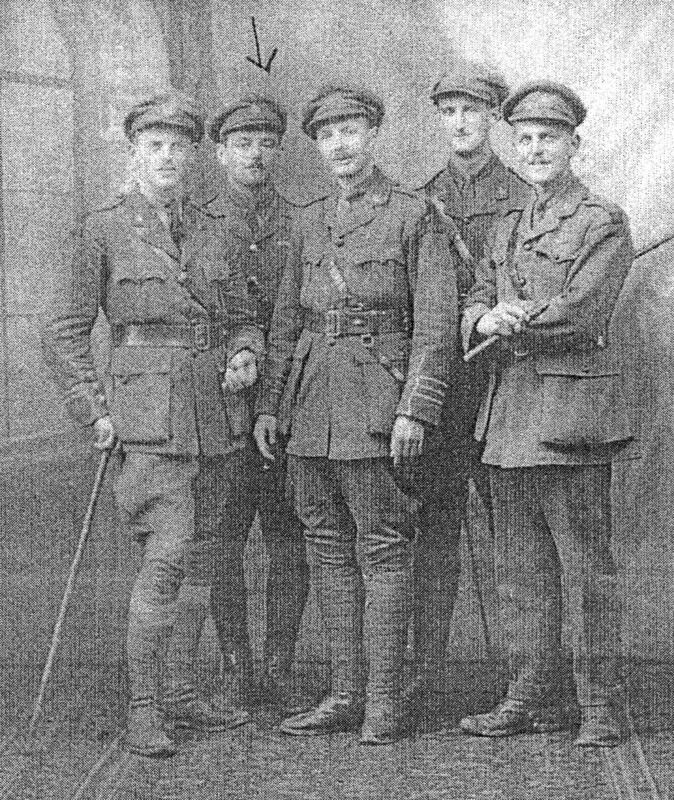 DND staff identified one set of remains as belonging to an uncle killed during World War I. Family members flew overseas to attend the ceremony when he was interred in the closest British military cemetery that had space. Helen Mason's most recent books include A Refugee's Journey from Syria and A Refugee's Journey from Afghanistan, both Crabtree Publishing, 2017. It's spring and the Sci/Why writers are celebrating. Check out these latest and award-winning books by our team of bloggers! Simon's book, Faster Higher Smarter (Annick Press) just won the Science Writers and Communicators of Canada Youth Book Award! It takes a lot of talent, skill, and hard work to become a world-class athlete. 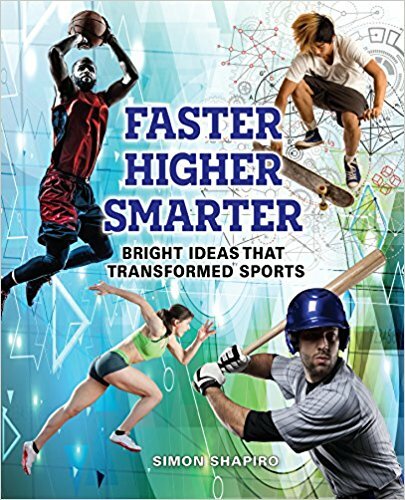 But it takes even more to make a sport better: it takes smarts! And whether innovators are aware of it or not, it takes an understanding of physics, mechanics, and aerodynamics to come up with better techniques and equipment. From swimming, soccer, and basketball to skateboarding and wheelchair sports, Faster Higher Smarter looks at the hard science behind many inventions and improvements in sports. Claire's book Inside Your Insides (Kids Can Press) was shortlisted for the Science Writers and Communicators of Canada Youth Book Award! Her latest, What a Waste! Where Does Garbage Go? 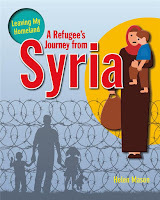 (Annick Press) came out in March. It's the history, sociology, science, past, present, and future of human garbage (and even some pre-human garbage). 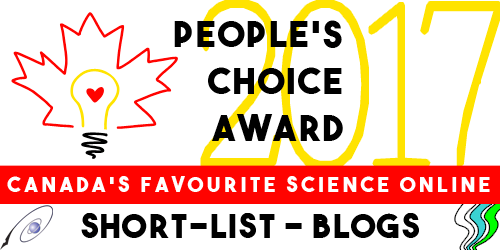 Helaine's Monster Science (Kids Can Press) was also shortlisted for the Science Writers and Communicators of Canada Youth Book Award! She's also got two new books out: You Can Read (Orca) and Lines, Bars and Circles: How William Playfair Invented Graphs (Kids Can Press). Paula's latest is Critical Perspectives on Vaccinations, a book for high school students from Enslow Publishers. 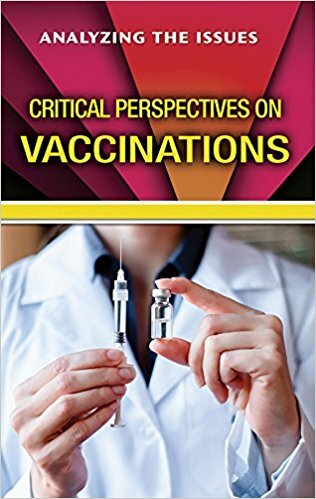 It's a collection of published articles from doctors and experts, as well as court documents and personal viewpoints of ordinary citizens. Stay tuned for Critical Perspectives on the Opioid Epidemic, as well as two kids books on technology in sports and in industry! Our newest blogger is also a newly published author! In January 2017, Red Deer Press published Anita's Big Blue Forever. This is a photo-based information book, inspired by the true story of how a blue whale skeleton, buried for over twenty years in PEI, was shipped cross country and reassembled for permanent display at the Beaty Biodiversity Museum in Vancouver, BC. This story is complemented with intriguing facts about blue whales and their environment, and the fascinating process that museums go through to uncover, prepare, and reassemble skeletons for display and study. Big Blue Forever can be purchased through your local independent! 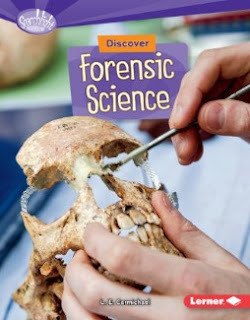 Lindsey has two new forensic science books for middle readers. Discover Forensic Science (Lerner) starts with crime-fighting cadaver dogs and ends with cutting edge technology in forensics - like a camera that ages blood stains based on their colour. Forensics in the Real World (ABDO) explores careers in forensics, inspiring future Locards... and Sherlocks!